As the Left continues to spiral out of control — foaming, spitting, frothing in rage — it’s time to state the obvious: that in the battle for the soul of America, there can be only one winner. Either we retain as much as possible of the country-as-founded, including its national character, or we watch it “fundamentally transformed” into a “social democracy” of the kind envisioned by the adherents of Critical Theory, and brought to us courtesy of the Frankfurt School‘s ideological seizure of academe. Although some might wish otherwise, there is no middle ground, no accommodation, no splitting the difference. Our opponents on the Left understand this perfectly well. Their motto, for decades, has been “there is only the fight,” which also happens to have been the title of Hillary Rodham Clinton’s senior thesis at Wellesley. They’ve made it very clear all along that they’re in this for the long haul. Conservatives like to think that history, tradition, logic, and morality will win out in the end, and that our opponents will eventually see the error of their ways, if not the light. But as history shows, that’s simply not true. The Left won’t stop unless it is stopped. Which means that, for us, total victory in the defense of Western civilization and the American ideal is the only option. The two decisions were the latest in a stunning run of victories for a conservative agenda that has increasingly been built on the foundation of free speech. Conservative groups, borrowing and building on arguments developed by liberals, have used the First Amendment to justify unlimited campaign spending,discrimination against gay couples and attacks on the regulation of tobacco, pharmaceuticals and guns. Behold the Leftist jiu-jitsu at its baldest. I’ve been a conservative all of my adult life and have been a First Amendment absolutist from the start; this is also true of every other conservative I’ve ever met. It is a flat-out lie to say that the Right is “hostile to” the 1A. 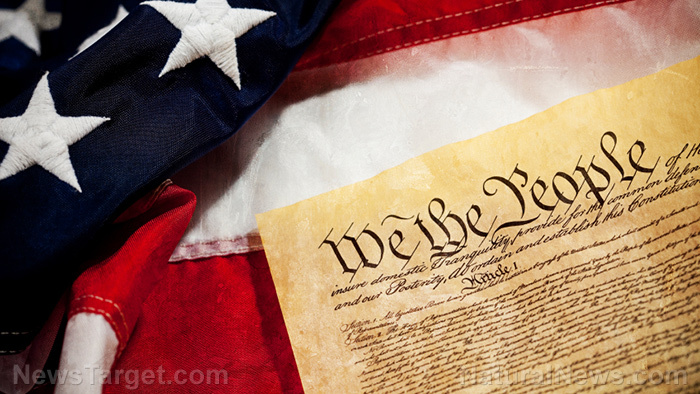 Indeed, I long believed that the common ground the Left so often speaks of was to be found in both sides’ fidelity to free speech and the associated freedoms mentioned in the amendment’s text. The Left has since disabused me of that notion. Now, it’s the Left that has no use for free speech, even going to far as to attack free speech as “racist.” What they mean is that, having no further need for the shield of the 1A, they now want to prevent us from enjoying its protection as well. Liberals who once championed expansive First Amendment rights are now uneasy about them. “The left was once not just on board but leading in supporting the broadest First Amendment protections,” said Floyd Abrams, a prominent First Amendment lawyer and a supporter of broad free-speech rights. “Now the progressive community is at least skeptical and sometimes distraught at the level of First Amendment protection which is being afforded in cases brought by litigants on the right.” Many on the left have traded an absolutist commitment to free speech for one sensitive to the harms it can inflict.